Victory! Antoine Deltour’s conviction is cancelled! On January 11st, the Luxembourg Court of Cassation fully recognised Antoine Deltour as a whistleblower and cancelled his conviction. This victory comes after more than three years of mobilisation. The fight against tax evasion and in favour of whistleblowers’ protection has to continue, further to Antoine’s battles. On January 11st, the Luxembourg Court of Cassation recalled that a whistleblower’s action has to be appreciated as a whole. Consequently, the Court overturned last spring’s verdict against Antoine. Antoine is now and for good fully granted the whistleblower status. He will therefore no longer be prosecuted for having leaked the documents at the origin of the LuxLeaks revelations about tax evasion by multinationals. This is an undisputable victory! Antoine’s judicial marathon is not over yet. He’s referred back to the Court of Appeal, accused of an anecdotal part of the case: copying training slides before quitting his job (and that he didn’t even used). A very little consolation for the plaintiff PwC. We hope to see a full acquittal soon! During the appeal trial, the judge had not recognised Raphaël Halet's whistleblower status (even partially). The Court of Cassation therefore upheld the fine already sentenced. Halet announced his decision to refer his case to the European Court of Human Rights (ECHR) in order to get the recognition that he only acted as a whistleblower. We support his fight! 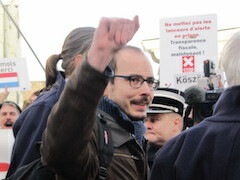 Journalist Édouard Perrin and Raphaël Halet filed a summons for summary proceedings for violation of the confidentiality of journalistic sources. 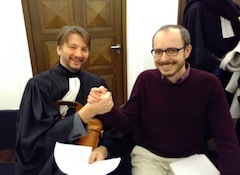 On January 9th, a court hearing was held in Metz. Antoine is not a party to this case, which deals with how PwC manipulated French justice to prove the contacts between Raphaël Halet and Édouard Perrin. Judgement on February 6th. Is it really a victory not to be convicted when one only acted as citizen? Anyway, I‘m very happy about that, really, it‘s a relief. in a statement published after the verdict, on January 11, 2018. Thanks to everyone who supported Antoine! Thanks to the 500 personalities and organisations who have committed themselves to the dynamics of support. Thanks to the 215,000 signatories of the petition, the thousands of donors, the members of the Support Committee and the Luxembourger Committee of Solidarity and all those who came to support the defendants in front of the court in Luxembourg. This mobilisation contributed greatly to the victory! Thanks also to William Bourdon and Philippe Penning, Antoine’s brilliant lawyers. Antoine’s Support Committee was set up in February 2015 to help Antoine, an exemplary citizen to protect. We did our best! Thanks to your support, commitment, and donations, the mission has already been accomplished. This support will continue until the proceedings against Antoine come to an end. The support will then take new forms to be defined together in April, during the next general annual meeting of the association. Since January 1st, 2018, a French law voted in 2016 is enforced: firms with more than 50 employees have to set up internal procedures for the collection of alerts. 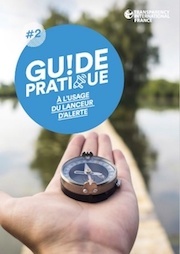 Transparency International France and the French “Defender of rights” issued practical guidances for whistleblowers (in French). Will there be a European Status? On October 24th, 2017, the European Parliament passed an ambitious resolution on the protection of whistleblowers. That's good news! Unfortunately, it is still not clear whether a binding directive on the protection of European whistleblowers will be issued. MEP, rapporteur for the text on whistleblowers’ protection in the EU, adopted by the European Parliament on October 24th, 2017. Exactly three years after the LuxLeaks revelations, the Paradise Papers have come last autumn to remind us that tax evasion is still a hot topic. These investigations, led by the International Consortium of Investigative Journalists (ICIJ), prove the existence of tax and legal arrangements set up by individuals and multinationals in order to avoid taxes. In France, BNP-Paribas and Apple have just launched legal proceedings in France to gag Attac’s militant actions against tax evasion: a penalty of 150,000 € per militant is required in the event of a future demonstration in an Apple store! Judgement will be given on February 12. Nicole Briend, who stole a chair in a BNP agency (to raise awareness on tax avoidance promoted by the bank), will be judged on February 6 at the Carpentras Tribunal. She risks a strong conviction. These strategic lawsuits against public participation (SLAPP) are a scandal! 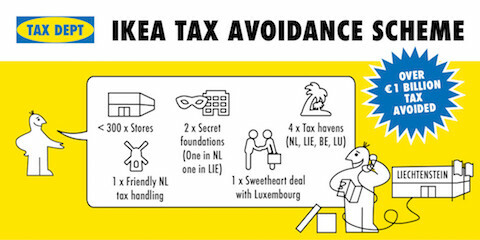 Over the past few months, the European Commission has made a number of shattering events: condemnation of the tax advantages granted to Amazon in Luxembourg, opening of a tax investigation against IKEA… However, a great disappointment accompanied the publication last December of the very irrelevant blacklist of tax havens. 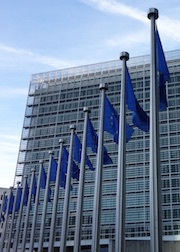 Progress is expected on the proposed European common tax base. in an interview to RFI radio (in French) on December 8, 2017. Silver Rose Awards presentation at the European Parliament. Antoine is one of the recipients of this award, which recognises individuals and organisations who have been involved in advancing social justice. The annual general meeting of the Support Committee to Antoine will take place in Épinal (France) mid-April. A debate on whistleblowers will follow.